Welcome to Willowmere located in the historic Lake Ontario beachfront town of Cobourg, Ontario, Canada. Cobourg is 100 km east of Toronto and is easily accessed by car, train or bicycle. 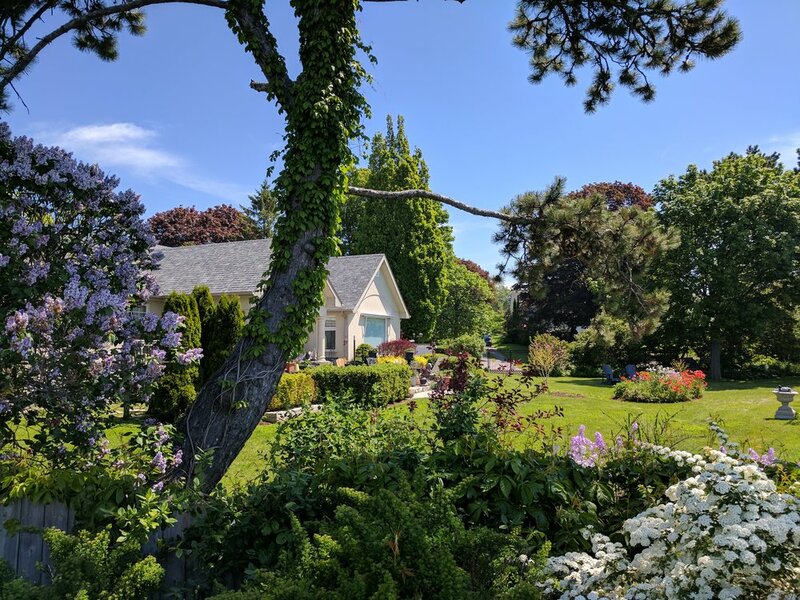 Our treasured lakefront family home is just a few steps east of Cobourg’s beautiful sandy beach in Victoria Park. The town center is a pleasant 15 minute walk along the waterfront beach with all its shops, restaurants, marina, Victoria Hall and Art Gallery of Northumberland. A view of Willowmere's garden, Cobourg waterfront bed and breakfast. This suite is on the east end of the family home. 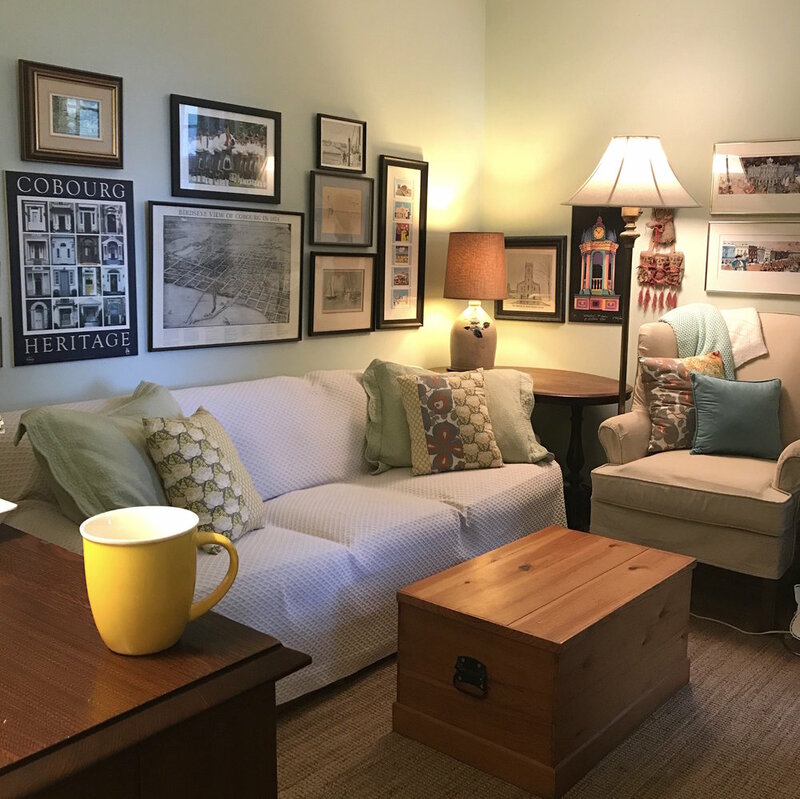 Pets welcome with prior notice - $20 / pet / night. The family pets include 2 dogs and a cat. The outdoor space overlooking the lake is shared with them. post: 197 Water Street, Cobourg, Ontario K9A 1R2. A valid credit card is required to reserve the suite.. Please check for available dates. If we have the dates you are looking for please fill out the form below and we will be in touch! Fill out the form below and we will get back to you in the next 24 hours.